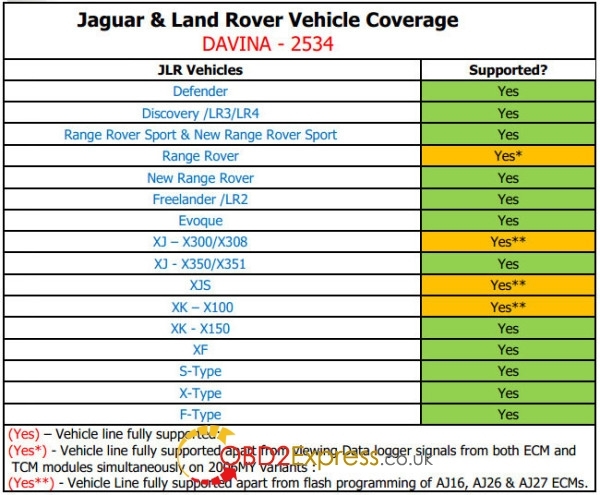 Here is the buying guide with comparison of VXDIAG VCX NANO for Jaguar & Land Rover OEM diagnostic tool, JLR Mongoose cable, VCM2 scanner and DA-VINA J2534 interface. Mongoose & DA-VINDA interfaces work with the original JLR SDD IDS software. If you need to new Jaguar and Land Rover model up to 2014 year, DA dongle 2534 or Mongoose pro which version 139.14 up are recommended. Now the SDD version 145 is the one tested without any issues by thousands of people.